Here’s an activity to keep you busy in half term – and you might win some cool prizes for your family too. Relate, the UK’s leading relationship support charity, is calling on young artists to draw or paint their favourite family moments. There are some great family-friendly prizes up for grabs and the winners will be invited to a prestigious reception in London. Families today come in all shapes and sizes. This new art competition aims to give children and young people the chance to highlight the special moments that make every family unique, regardless of its set up. These ‘moments’ could include the arrival of a baby brother or sister, a special holiday with a new step mum or dad, or a favourite meal served up at Grandma’s – whatever sums up family for each young entrant. 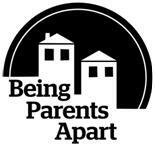 The competition forms part of Relate’s ‘Being Parents Apart’ campaign, which aims to raise awareness of the problems parents face once they decide to separate. Entries are invited from children and young people aged 0-16. There are three age group categories – under 5s, 6-10s and 11-16s. Artwork can include drawings or paintings and can be posted or emailed. You can find full details on how to enter on the competition page here. Closing date is Wednesday 19th March 2014. Prizes include signed copies of Cathy Cassidy’s books, as well as tickets for family days out at venues including Sea Life Aquariums, Alton Towers and Go Ape.